In honor of Valentine's Day and our own marriage milestone, I want to take some time to talk about what it's like to be married and live in a tiny house, especially since we added children to our family. First and foremost, Chris and I have always been friends, and I think that's one of the blessings of being together in such a small space. Aside from the hours spent working outside the home, Chris and I spend most of our days together. (We do have other friends and hobbies, but generally speaking, we are together a lot.) Sure, we can go to opposite sides of the house, but even if Chris is upstairs and I'm downstairs, we can still hear each other and carry on conversations. We didn't have our first child until we had been married for nine years, and during that time when it was just the two of us, we talked a lot about so many things. The conversations flowed as we did life side by side with few walls to separate us, and it has been a sweet thing watching as the plans for our future have unfolded out of so many of those conversations. Before you think that married life in a small home is all sunshine and roses, I'm here to affirm that it's not. In those moments when you just aren't communicating despite all of the words you are sharing, sometimes it would be so much easier to be able to just walk away and close the door. We have a bedroom and a bathroom in our home, but there is very little real separation, and eventually you have to come out into that shared space again. 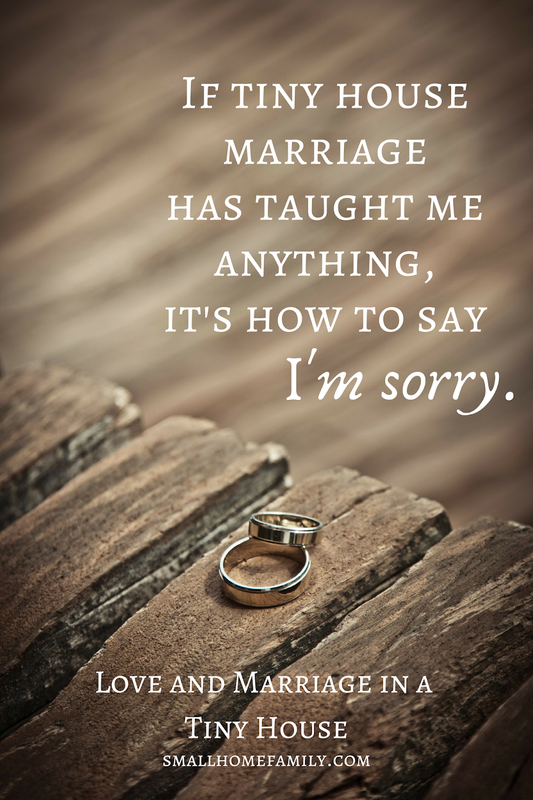 So if tiny house married life has taught me anything, it's how to say I'm sorry. Repentance and forgiveness are necessary parts of this life in a small home where we are forced to interact all day long due to the nature of our cramped quarters. It's a beautiful thing, but it also requires humility and a willingness to let the past stay in the past. When you become parents in a tiny house, it definitely can be hard on your relationship. We still talk a lot, of course, but conversations are punctuated by interjections from our children, who are often quite loud and are usually right there with us from the moment they wake up until we send them to their room at night. There are times when we have to save conversations about heavier topics for other settings or after the kids have gone to sleep. I assume this is fairly normal for many families regardless of house size, but the lack of space for quiet adult conversations is felt keenly in a tiny house. This goes without saying, but there is definitely a general lack of privacy in a shared space this small. We find time alone together when we can, but we have to be a lot more intentional about it than we would have to be in a bigger space. In some ways that's beneficial, though, because when child-free interactions have to be planned, they take on a level of importance that might otherwise be taken for granted. We find time for the things that are important, and time to focus on our relationship with each other is no exception. We are blessed to have eager babysitters nearby in the form of grandparents and other family, and that makes it easier for us to plan for special date nights and other adults-only interactions. Even if you don't have family around, finding another trustworthy couple with whom you can switch off childcare responsibilities occasionally may be a good solution for getting out (or staying in!) together sans kids. We are big fans of the date night in, and we try to make weekly date nights a priority. 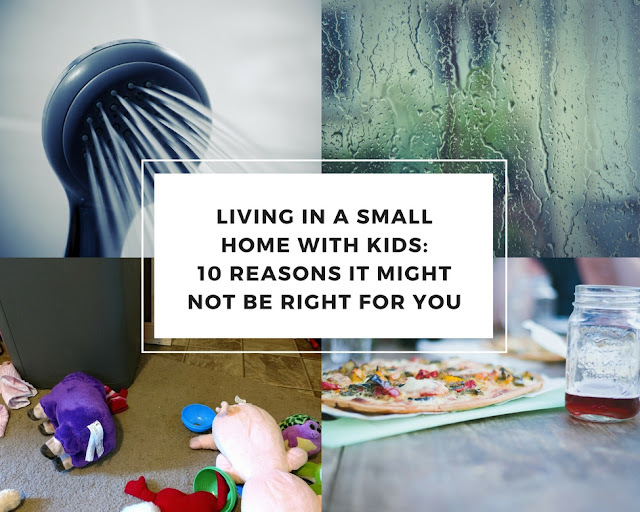 Having the freedom to interact after the kids go to bed is one of the reasons that I highly recommend families who are considering going tiny give a lot of thought to the idea of having a separate bedroom with actual walls and a door for the kids. Our children are fairly hard sleepers, but not having to worry about making too much noise after they go to sleep is definitely a benefit. 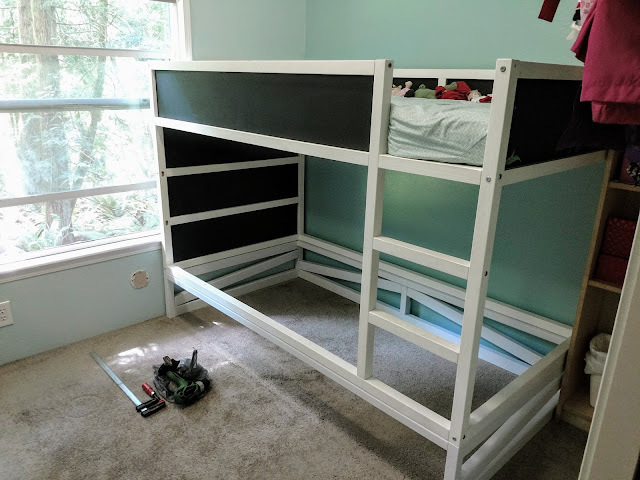 I have seen other families make all sorts of bedroom situations work, though, so find the solution that works best for you! 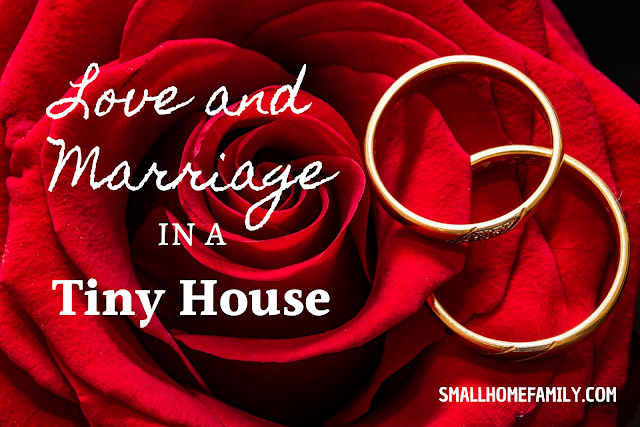 I truly believe that living together in such a small home can be beneficial for a marriage. At the same time, I think that any couple who is thinking about going tiny together really needs to do so with eyes wide open because married life in a tiny space is going to require a level of intimacy and compromise that may be uncomfortable or unexpected, especially at first. A lot of people go tiny so they can spend more time together and grow closer as a family, and we applaud that. 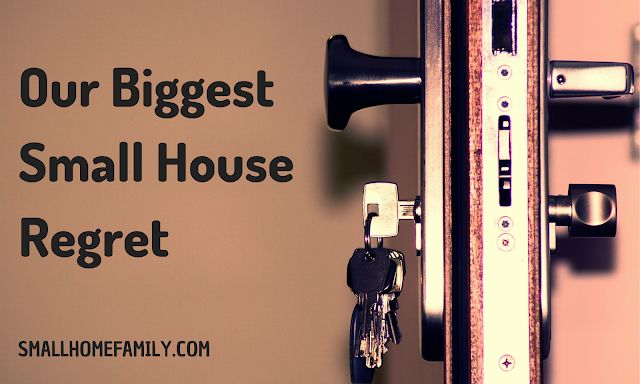 It's one of our favorite things about living in a small home, too! But living in a tiny space together isn't a magic formula for making marriage easier. (It may actually be more like holding a microscope up to the current problems in your relationship.) It takes a lot of effort to make any marriage thrive, regardless of your circumstances, and each situation will have its own unique challenges. But if you can stick it out and learn and grow together, keeping communication open and being willing to apologize and forgive and prioritize your relationship, life as a married couple in a tiny house can be a beautiful thing.